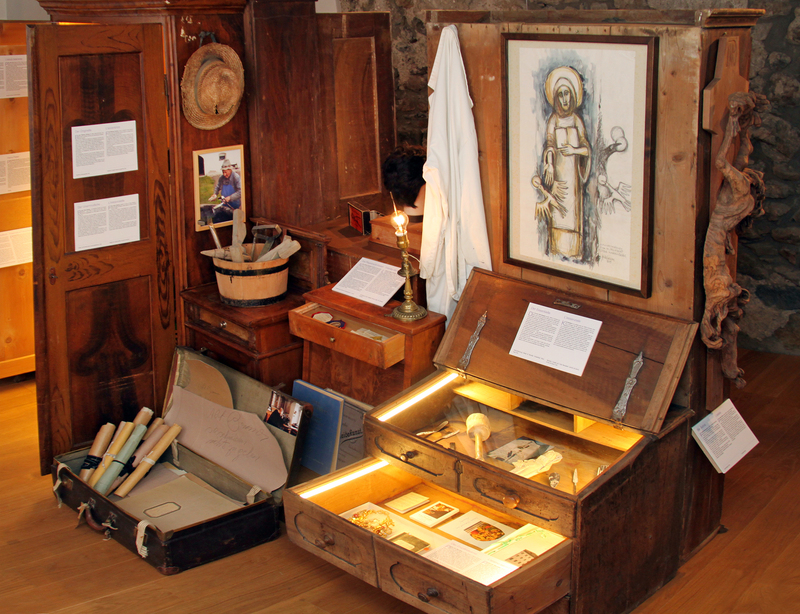 Who are and were the people at the Marienberg Monastery? Which people have and had to work with the pen? At the exhibition, visitors are invited to a personal dialogue with these people. Hannes Egger stages their personal objects combined with short texts about the people in an installation made of a wide variety of furniture from the monastery.